A tangible benefit of working for Johnson Matthey is the training you receive. From the start, you will be given real responsibility, but you're not on your own. From day one you will receive individual training from colleagues, which is then backed up by the formal training which we have developed for graduate recruits. You are also encouraged to take external courses, if they are right for your job. Internal training takes the form of our Business Training Programme, which offers a robust and comprehensive foundation for any career. Training for our apprentices is different. It will depend on the scheme in the particular location and does not involve participation in the Business Training Programme. You visit businesses throughout the Johnson Matthey group to hear about their work, customers and strategies; take manufacturing site tours and learn about the range of products and processes; discover how the businesses interrelate and realise the amazing variety of opportunities available in the future. You visit major Technology Centres throughout Johnson Matthey to hear about new opportunities and project priorities from technology leaders; see equipment and facilities and exchange information about current project work. You develop transferable skills such as personal effectiveness, giving presentations, business and scientific writing, cross cultural communication and project management. The aim is to improve your confidence and effectiveness with people and in a wide range of business situations. You experience the mix of disciplines that contribute to Johnson Matthey's successful development – marketing, manufacturing and business finance – providing you with the breadth of understanding to command respect as you progress your career. From time to time you'll have personal development discussions to review your progress and achievements, explore your aspirations, examine ways to evolve your job and achieve your ambitions. People listen to you and your contribution is welcomed. The Business Training Programme brings you into contact with people from all areas of the businesses, as well as with senior managers. This encouragement to think and live company wide means you get valuable exposure – senior people take an interest and remember you. Johnson Matthey has ambitious business goals – growing its profit and return on investment – together with a clear sustainability vision to build a better, more sustainable world for the next generation. This is a challenge we can all be part of, and the better trained you are, the more you can contribute. 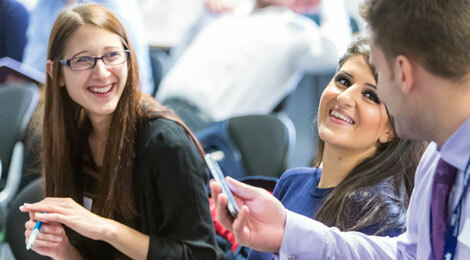 There is a wide range of courses that Johnson Matthey people can take. Our internal courses are run by top training providers. We offer financial support for people taking external certificates in management, diplomas and, where appropriate, MBAs. Individual specialist qualifications such as diplomas in marketing or chartered status for chemical engineers are strongly supported. A number of managers from across Johnson Matthey are also selected to join the year-long Group Management Development Programme – an opportunity to meet regularly throughout the year to raise their game, network across the organisation and discuss strategy plans with board members. How you decide to apply the skills you build and the qualifications you achieve is up to you. The opportunities are available, as our Chief Executive and many other senior managers have proved in joining Johnson Matthey directly from university.